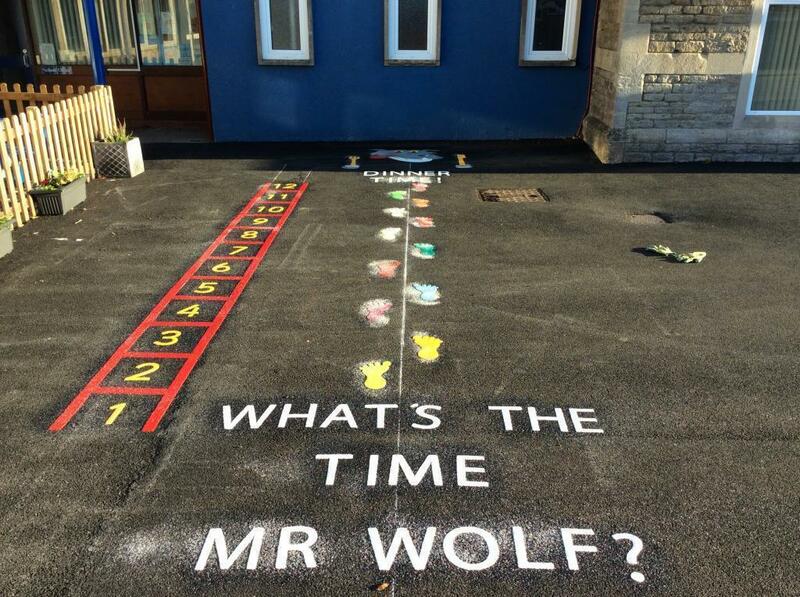 The quote requested several bespoke designs including; A Rocket Hopscotch, Target Board with Lines, Mirror me Moves and A What's the Time Mr Wolf? 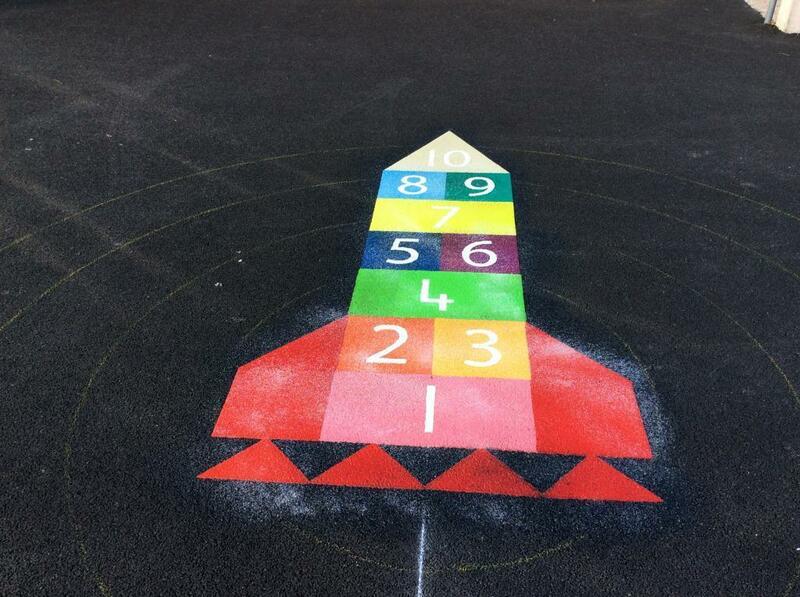 These designs are made using preform which comes in a multitude of colours and can be cut to any shape making them ideal for custom playground markings. 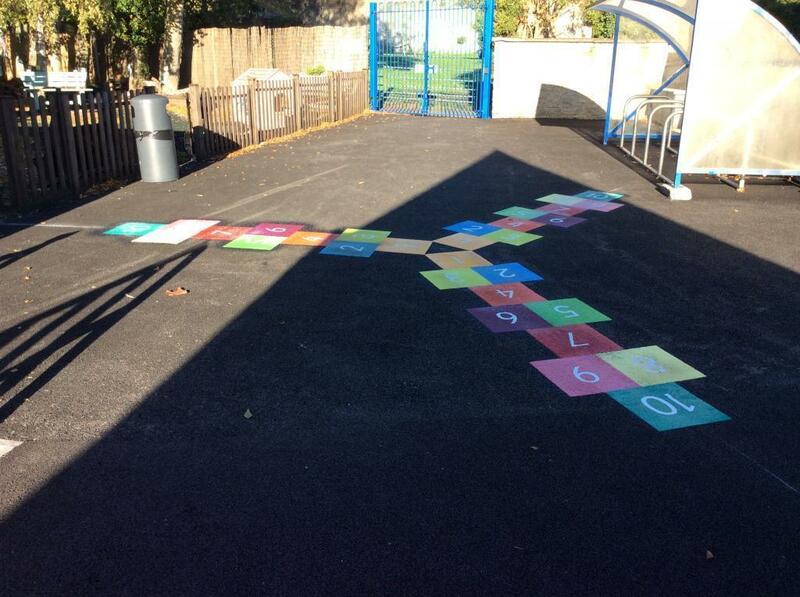 As you can see from the photos, the designs are bright and fun and we trust the pupils will approve of the upgrade to their playground! 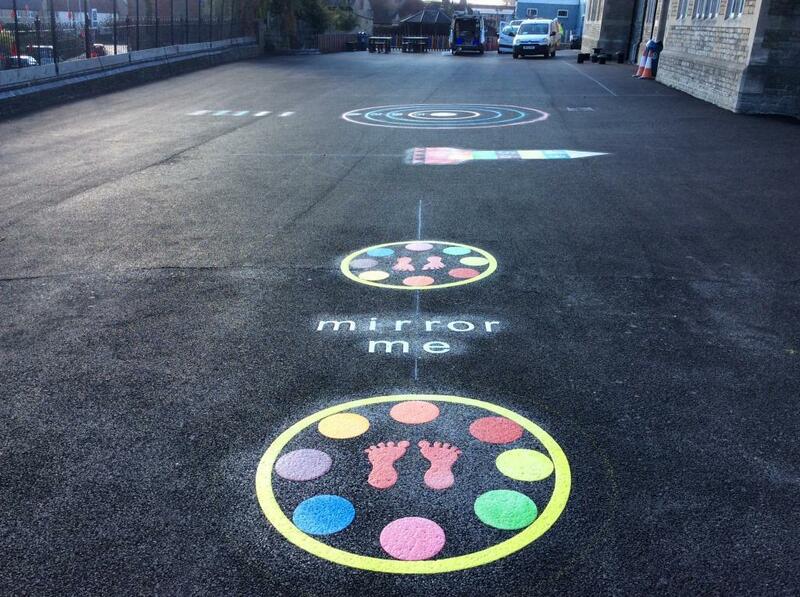 Note: The temporary chalk guidance marks visible on some of the photos are required as part of the application process and quickly disappear as the playground is used, leaving behind the amazing bright and colourful designs. 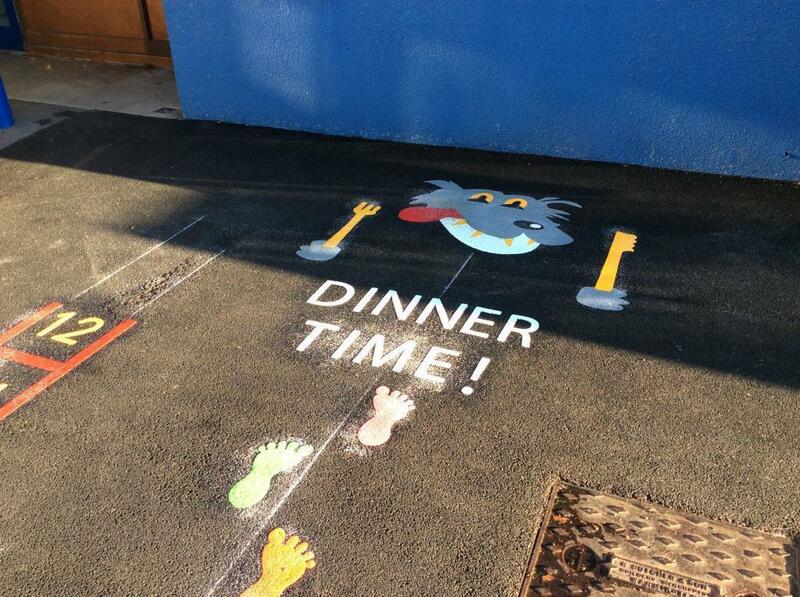 Work carried out October 2018 in Wincanton.